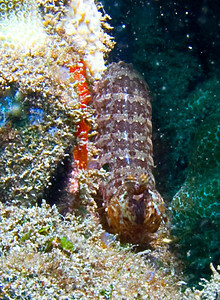 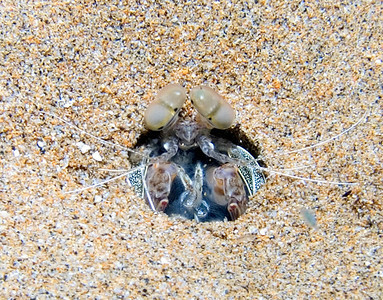 Ciliated mantis shrimp (Pseudosquilla ciliata), out and about from its burrow. 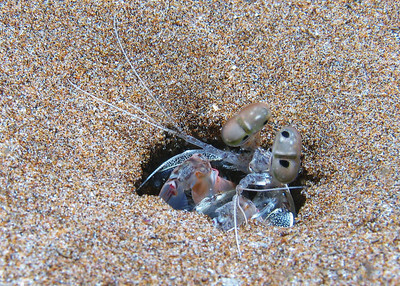 Like all stomatopods, P. ciliata uses those long, enlarged forelegs to spear prey (some species smash rather than spear)...keep your fingers away from mantis shrimp! 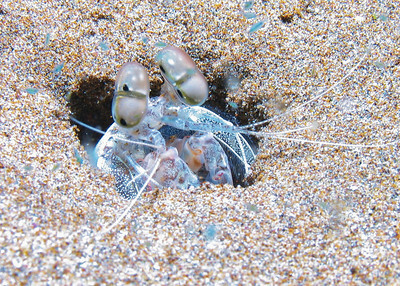 A Shortnose mantis shrimp (Odontodactylus brevirostris) pops up to take a look at me...and in three or four other directions as well. 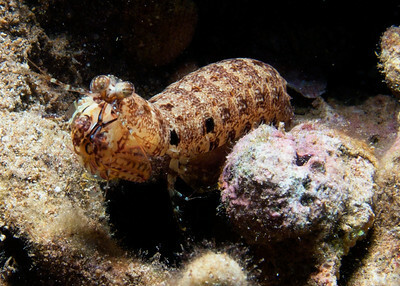 Stomatopods are to other shrimp what Octopi are to clams...these critters are smart and have very advanced senses. 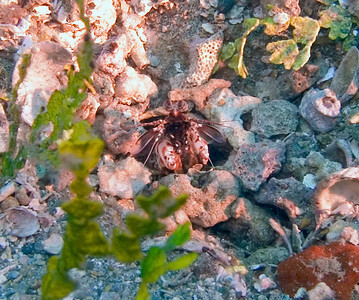 A Spearing mantis shrimp (Oratosquilla calumnia) on the hunt. 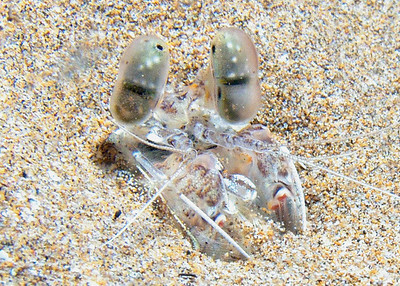 The tiny greenish-blue dots swarming about are copepods attracted by my light...every now and then a larger free-swimming critter would happen by...and the O. calumnia would spear an easy meal.